The Nova Scotia Museum is responsible for the provincial collection of over one million artifacts and specimens. As well, we oversee the maintenance of more than 210 buildings, four floating vessels and nine locomotives. 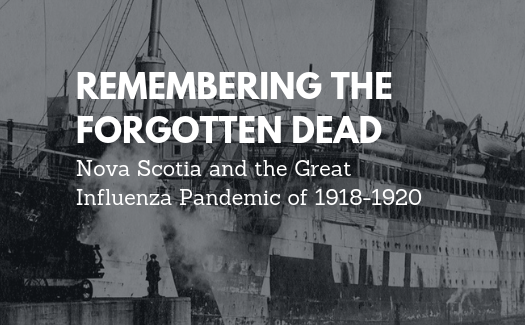 Remembering the Forgotten Dead - Nova Scotia and the Great Influenza Pandemic of 1918-1920. Over 2,000 Nova Scotians were killed, more than in the 1917 Halifax Explosion, and it dramatically changed the lives of many others, but has been largely forgotten by most. Start the journey of #FindingHoneyman with an interactive timeline of David Honeyman - the first Curator of the Nova Scotia Museum. 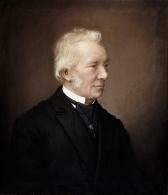 Research is one of the fundamental activities of the Nova Scotia Museum. Museum publications share research about our collection to advance our understanding of the world and encourage research by others. Our publications are available electronically through an Open Journal System catalogue hosted by Dalhousie University. The Mastodon femur recently put back on display at the Museum of Natural History, was found in Middle River, Cape Breton, Nova Scotia in 1834. 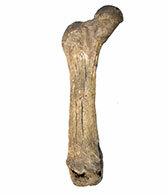 This bone has a big history! Tag us in your photos #atNSM! 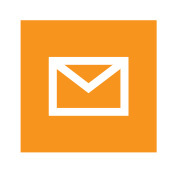 Sign up for Nova Scotia Museum E-events, your monthly email update on all the latest events from across the Nova Scotia Museum.